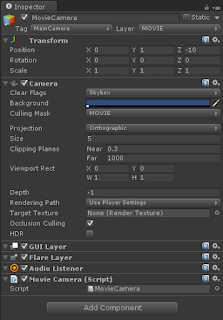 Video can be played using MovieTexture in Unity. 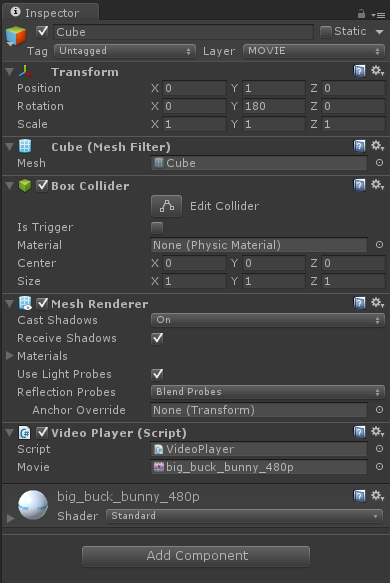 There is no easy way of retrieving the video frame in unity though. One of the hard way to retrieve the video frame is to render the video in to a RenderTexture and create video frame as texture by reading pixels from the render texture. Lets do it. So let’s start and create a scene with a Camera, let’s call it MovieCamera, a cube and direction light. Let the camera be an orthographic one. We will use the cube to map the video on to it. To play video you might need QuickTime Player, especially if you are not using ogg format. Keep the video in the Assets folder. Now drag and drop the video on to the cube object. 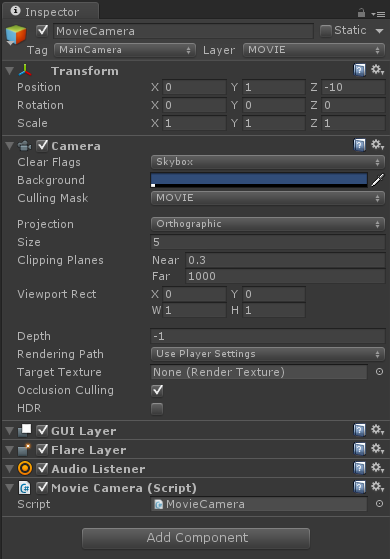 This will not start playing the video; for that you would need to write a script and call the Play method of MovieTexture. 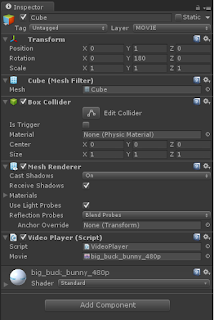 Attach below given scripts to the cube game object. The movie variable should be assigned with the video. With this much of code we will be able to play the video. But our aim is to retrieve the video frames as textures. To capture video frames we will render the video onto a RenderTexture first. For that instead of the camera rendering onto the screen we will make it render on to the RenderTexture. Once video rendered on to the RenderTexture we can use ReadPixels method of Texture2D to retrieve the video frames. Actually it is not so difficult to do, just attach the below shown script to the camera(MovieCamera) and we are done. // and then read the pixels. In order to try this you would need a Unity pro version.